It's hard to choose a favourite Ella Fitzgerald song, but "Summertime" has to be among my favourites. Fitzgerald's version of the Gershwin classic is soothing, lulling, and has just the right amount of melancholy to make it an absolute classic. Full disclosure; I've never seen Porgy and Bess, the musical whence this song originates. No matter, the song stands on its own. It's one of the most covered songs ever. And I'm not talking about quasi-ironic garage band covers. No, "Summertime" has been recorded by some big names including Billie Holiday, the aforementioned Ella Fitzgerald, Janis Joplin, Sam Cooke and even the incomparable Willie Nelson. I don't want to wax too philosophical about the balance between bliss and melancholy, yet the two are intertwined. All good things must end, as the saying goes. It is probably this knowledge that makes every happy moment just a little bittersweet. Ok, enough. 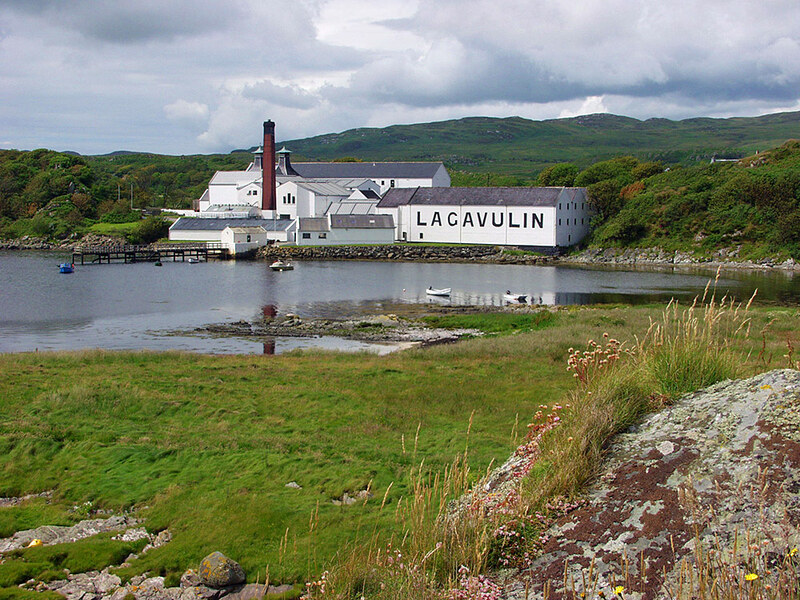 What does that have to do with Lagavulin? Read on. Lagavulin 12 Year Old? Isn't the "regular" Lagavulin 16 Years Old? What makes a 12 year old version special? 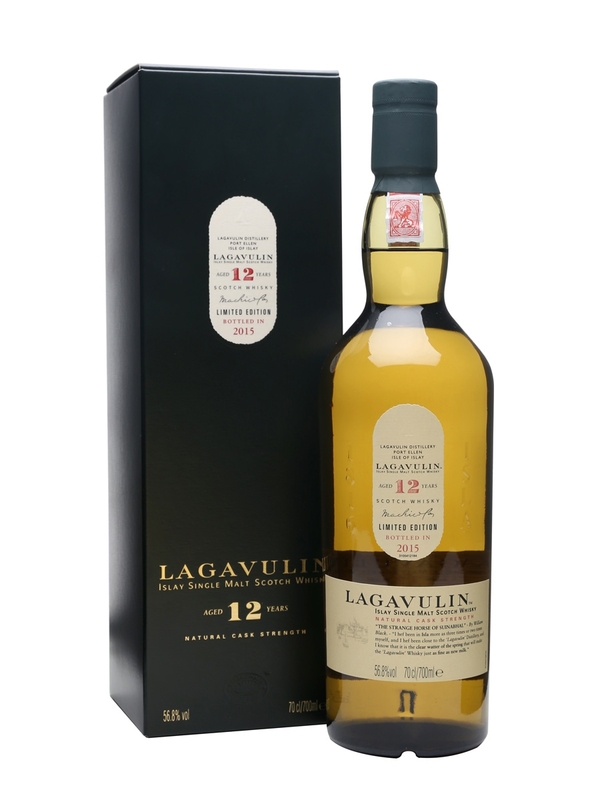 Diageo has a run of "Special Releases" every year, and the Lagavulin 12 Year Old is probably the most affordable one. Most of the Special Releases are thirty-something year old whiskies from mothballed distilleries that mere mortals cannot afford. The 1979 37 Year Old Port Ellen shown on the right would set you back about $4800 CAD. That's strictly Mr. Burns or Elon Musk territory But why a twelve year old? This whisky is aged entirely in American ex-bourbon barrels, whereas Lagavulin 16 is aged in a combination of American ex-bourbon barrels and European ex-sherry casks. So the 12 year version is a tad less fruity, a bit sharper and a little less rich than its 16 Year Old sister. 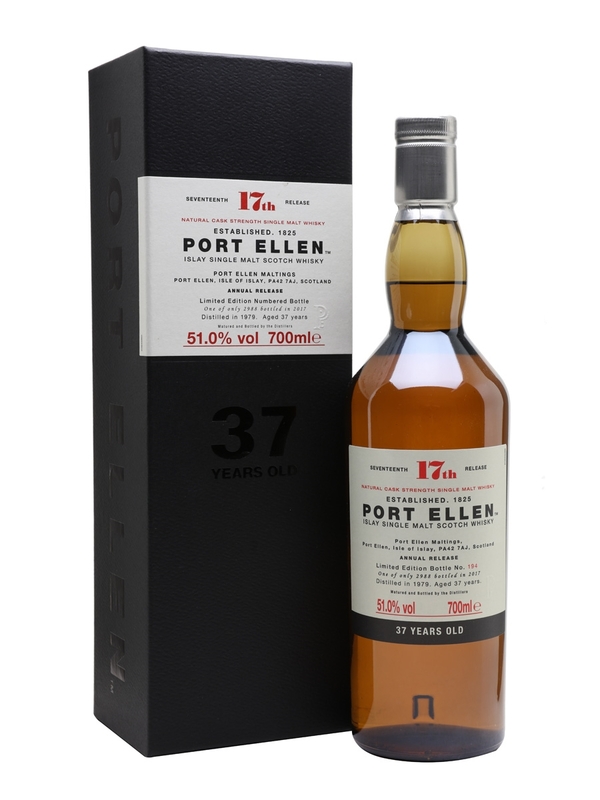 Oh, and the 12 Year Old is also released at Cask Strength (56.8% ABV in the 2015 iteration) so it's quite a bit feistier than the 43% ABV of the 16. But how does it taste? This whisky is reviewed from a single sample, provided by a friend. Keep in mind that there is variation from year to year. Lagavulin 12 Year Old, 2015 Edition 56.8% ABV. Nose (undiluted): brighter than Lagavulin 16, rich vegetal peat and smoke (obviously), with some citrus notes, pear and cereal sweetness. Think of smoking a cigar on a patio in the summertime. Others are having fruity drinks, but you, Lagavulin drinker, are not. The bright notes are there, but don't dominate in any way. Palate (undiluted): rich, full-bodied, yet there's a gentle arrival, developing to fiery black pepper, oak spices, burning leaves, a minerality reminiscent of an ocean breeze (really! ), damp and brine-soaked earthy peat and seaweed. Adding water turns up the volume on the citrus notes and the brine on the nose. It's like charring lemons on an ocean-front beach. Cliché? Perhaps, but it's there in spades. After it rests a few minutes, the sweetness returns to the nose, but it's no longer cereal sweetness; it's more like a salted toffee. Water doesn't tone down the pepper or barrel notes, but the mouthfeel becomes oilier with water. There's probably a scientific explanation for this, but I don't know it. Probably because, uhm, molecules. Yeah ! Science ! With water, the finish becomes more medicinal, with menthol becoming more prominent, but in a very good way. 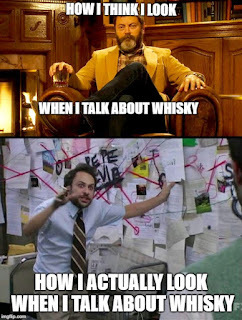 If you love Lagavulin, like I do, you know what I mean. This whisky is wonderful either way, but I think I prefer it neat. In a funny way, this reminds me more of Laphroaig 10 than Lagavulin 16. Perhaps it's the fact that this Lagavulin is matured exclusively in ex-bourbon barrels, like Laphroaig 10, as opposed to the combined ex-bourbon and ex-sherry of Lagavulin 16. Either way, this is a phenomenal whisky. It's hard to find any fault with it whatsoever. Tasting a sample of this whisky is a bittersweet experience. I'm incredibly grateful to have had a chance to try it, but I'm saddened by the thought that no other whisky will evoke as many images or feelings as this one does. 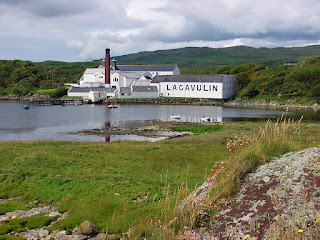 It also makes me wonder how much better Lagavulin 16 could be if it were bottled at a higher strength. I guess I'll never know. 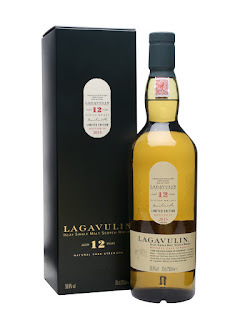 If you have a chance to purchase or sample Lagavulin 12 Year Old (the 2015 release), do it. You won't regret it. It's not perfect (nothing is), but it's so close that I have no choice but to award it my highest possible score.